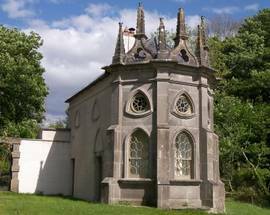 Batty Langley Lodge, Castletown Demesne, Leixlip, Co Kildare. 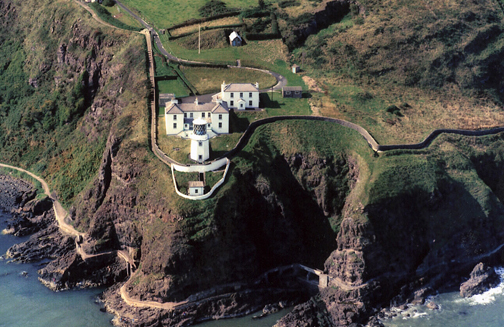 Blackhead Lightkeeper Houses, Co. Antrim. 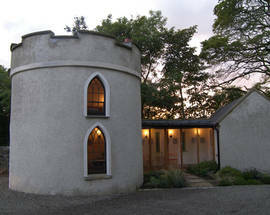 Drum Gate Lodge, Bushmills, Co Antrim. 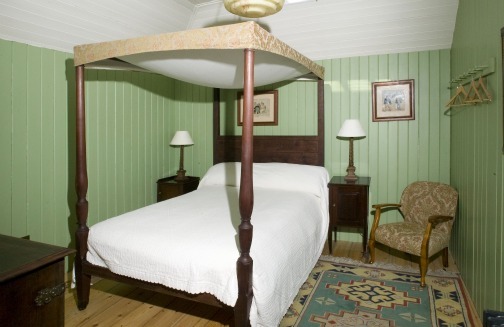 Merrion Mews four poster bed, Dublin. 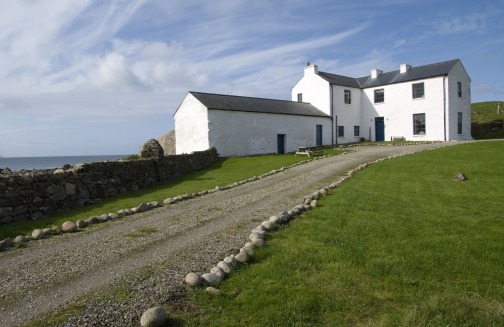 Termon House, Dungloe, Co. Donegal. 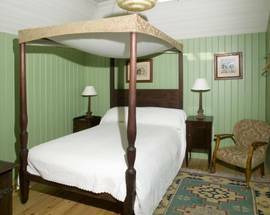 Fancy overnighting in an Irish gate lodge, castle or lighthouse? 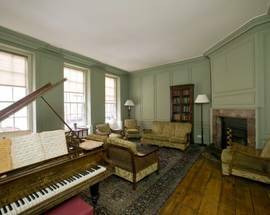 These and many more unique and history-steeped properties are among the Irish Landmark Trust's distinct portfolio of sixteen holiday lets. 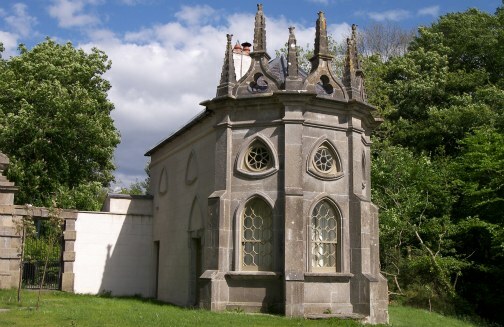 Now in its 20th year, the Trust takes abandoned and crumbling buildings from across the island of Ireland - many of national significance - and returns them to their former glory for everyone to enjoy. 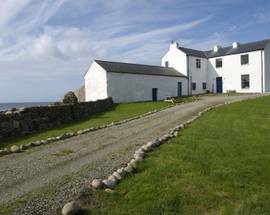 These meticulously renovated properties range from Drum Gatelodge on Northern Ireland's stunning north Antrim Coast to Galley Head Lightkeeper's House overlooking Co. Cork's brooding coastline. Merrion Mews provides quirky city centre accommodation right at the heart of this gentrified Dublin green. And No. 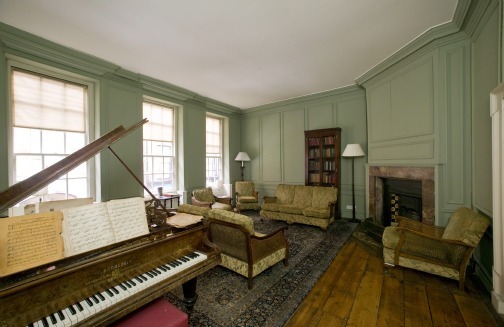 25 Eustace Street in the city's vibrant Temple Bar offers a tranquil Georgian haven a world away from the melee. Authentically decorated in period detail, these retreats offer beautiful escape in enchanting settings. All properties sleep from two to ten people, so you can opt for a romantic weekend bolthole to a fun-filled get together with family and friends. 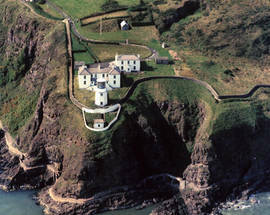 And by staying at one of these properties, not only are you having a fantastic and memorable holiday in a magical setting, but you're also helping preserve more incredible buildings for future visitors to enjoy. 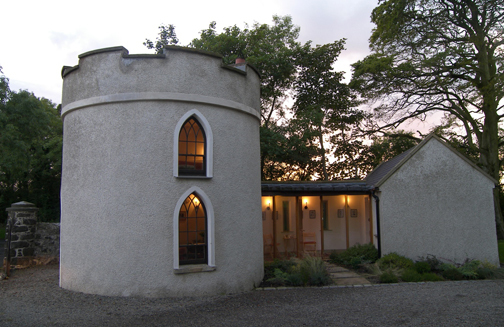 Find out more about the work of the Irish Landmark Trust - including buildings currently under renovation - and book your dream property by visiting www.irishlandmark.com or tel. (+353) (0)1 670 4733.